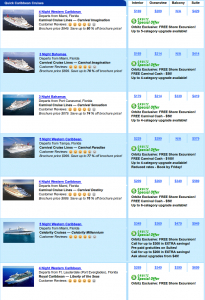 This is the perfect time of the year to go on a cruise, and now, with some of the amazing deals out there, you can do it without drilling a hole in your pocket. The Caribbean is awaiting you! 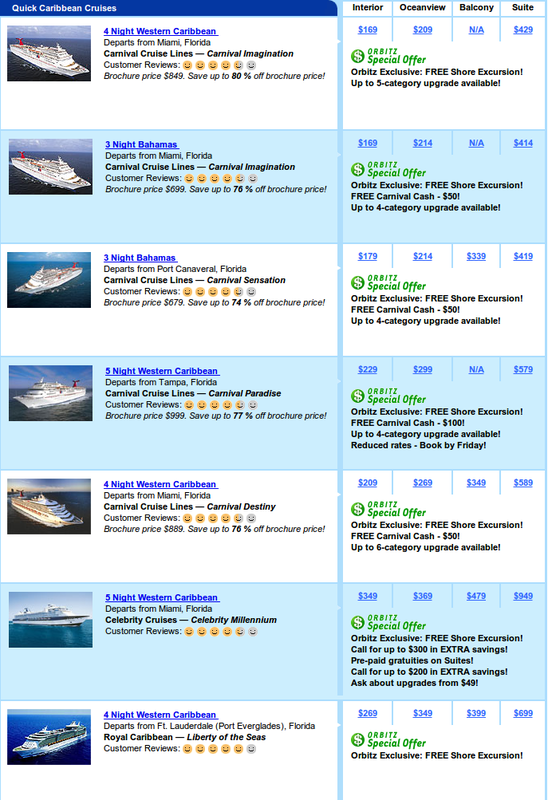 Book a Caribbean Cruise for some of the best prices out there. You can now sail for fees like $40 per night, and in addition to that, you can also take advantage of a ton of free upgrades and freebies! How about sailing for 7 nights through the waters of the Western Caribbean and receiving a free shore excursion too! Or how about saving up to $100, or receiving up to $300 free onboard credit! You can spend you money on spa treatments on the cruise ship, or taking advantage of the dozens of activities offered for guests. Norwegian Cruise Line, Carnival Cruises, Royal Caribbean and Celebrity Cruises all have some amazing deals lined up, and all of them for cruises in the Caribbean. So if dreaming of sun, gentle sea breezes and all the pampering in the world is what you’ve been dreaming about recently, now you can make your dream sailing come true, for a dream price nonetheless! Don’t miss this excellent holiday opportunity, book you dream cruise now! Details here. This entry was posted on Saturday, February 26th, 2011 at 1:08 am and is filed under Cruise Deals. You can follow any responses to this entry through the RSS 2.0 feed. You can leave a response, or trackback from your own site.